I got these pictures in an email - chances are you got 'em too. I thought they went pretty well with my redneck episode from yesterday. I personally think Rednecks are ingenious thinkers. I didn't say they were genius... Just very creative imaginations. And I believe I am guilty of a few of these things myself. 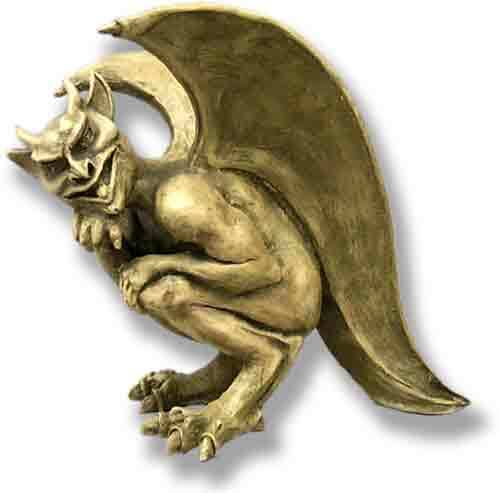 Not this particular creation, however. 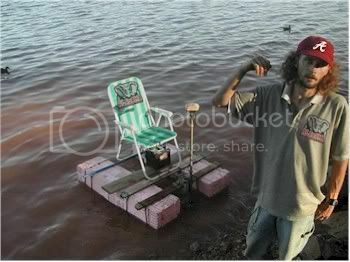 Redneck Bass Boat - looks a little unsturdy... but okay. Perfect for those of us on a budget. 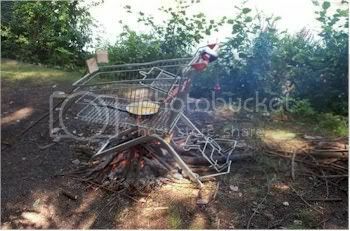 Redneck Gas Grill - not a bad idea, I tell you what. 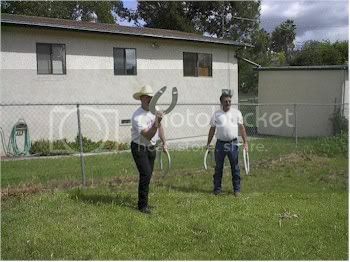 Redneck Horseshoes - if I cant get a ringer with these, I should just give up now. 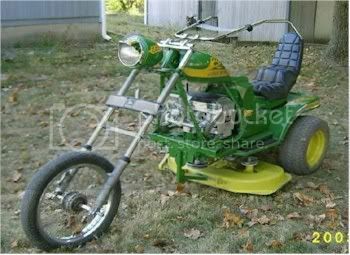 Redneck Lawnmower - now that's what I'm talking about! 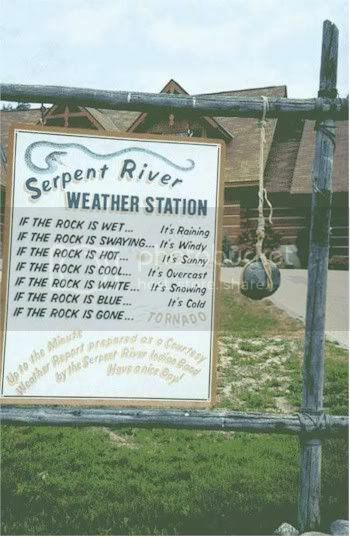 Redneck Weather Station - I've been using similar concepts for quite some time now. 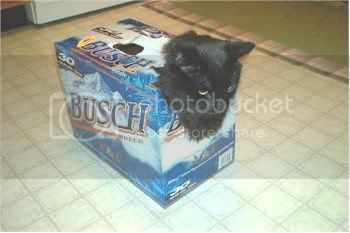 My personal favorite - Redneck Pet Carrier - I've used empty Busch boxes for worse things. 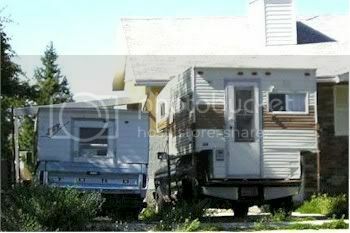 Redneck Gingerbread House - this pretty much describes my yard... except I don't see any spare radiators sitting around. Where are the radiators? 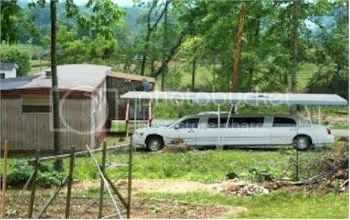 Redneck Wedding Reception - I wish I looked that good in my dress. At least I had cows at my wedding. And for our anniversary, we drank champagne from flutes while sitting in lawnchairs at the Nascar. 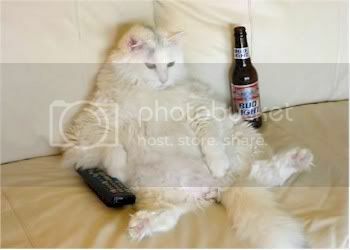 Redneck Cat - I have four of these. This is why the dishes are never done when I get home. Redneck Guest Bedrooms - okay, where else should they sleep? 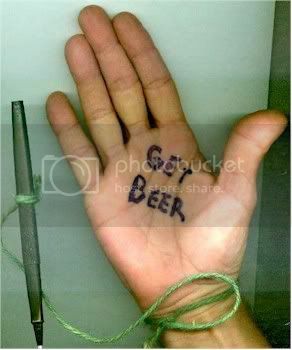 Redneck Palm Pilot - see? they came up with it first. Redneck Powerball Winner - Sooo, what's the problem? See? Ingenious. 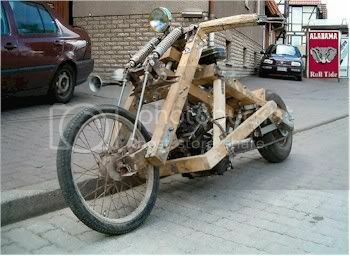 May be a little rough around the edges, but pretty damn creative. You can call me a redneck, but dont you dare call me a hick.